IF YOU ONLY BUY ONE PROPERTY BOOK – THIS IS IT! Whether a beginning investor or a seasoned professional, you must read this updated edition of our best selling book to ensure you learn a proven strategy for financial freedom in our new economic era. This book is not theory – the results have been proven by thousands of Australians who have used the strategies laid out in earlier versions to grow their own multi-million dollar property portfolios. Powerful NEW strategies to profit in our new economic environment. A 95 page eBook – The Insiders Guide to Property Investing, where 6 Australian experts and I give you our inside tips to help you become a successful property investor. The Life Lessons of a Seasoned Property Investor – Hear as I share some of the most important investment lessons I’ve learned over the years in this Audio Program. The 15 Habits of Successful Property Investors – Successful investors don’t necessarily do different things to the average investor – they just do things in a different way. In this extended Audio Program I share 15 traits all successful investors, business people and entrepreneurs share. 6 Reasons most Australians won’t ever get Rich – despite living in one of the most affluent countries in the world, most Australians won’t become rich and most investors won’t achieve the financial freedom they deserve. I’ll explain why and what you can do about it in this Audio Program. Get all these bonuses instantly when you order your copy of How to Grow a Multi-Million Dollar Property Portfolio – in your spare time. 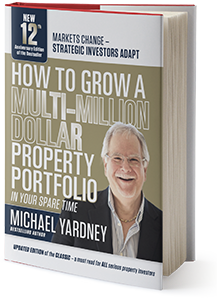 This book is not theory – the results have been proven by thousands and thousands of Australians who have used the strategies laid out in earlier versions to grow their own multi-million dollar property portfolios. Now boasting a number of new chapters, many up dated sections and up to date statistics mean that the new 12th edition of this property investment classic book will be a valuable resource for both the beginner and experienced property investors for the foreseeable future. Just a quick note to compliment you on your book, How to Grow a Multi Million Dollar Property Portfolio. My wife and I have recently purchased 2 Investment properties, both were immediately tenanted which is awesome. 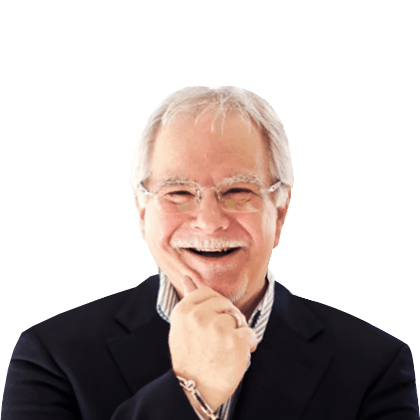 I thought we had changed our mindset by doing that, in a small way yes, but now after reading your book we are even more focused on growing out portfolio and making the most of our money. I was so impressed I have ordered your book What Every Property Investor Needs To Know about Finance, Tax and the Law, looking forward to reading it. This book is an excellent companion and reference work for anyone who is a serious investor. I was particularly impressed by the section on negotiating and dealing with real estate agents and the chapter on the advanced strategies. Michael has raised the bar in terms of what is meant by putting something back into your industry. Congratulations. Rob Balanda – Senior Partner, McDonald Balanda & Associates Solicitors. Purchase this book NOW and you will receive the 4 free bonuses mentioned above.